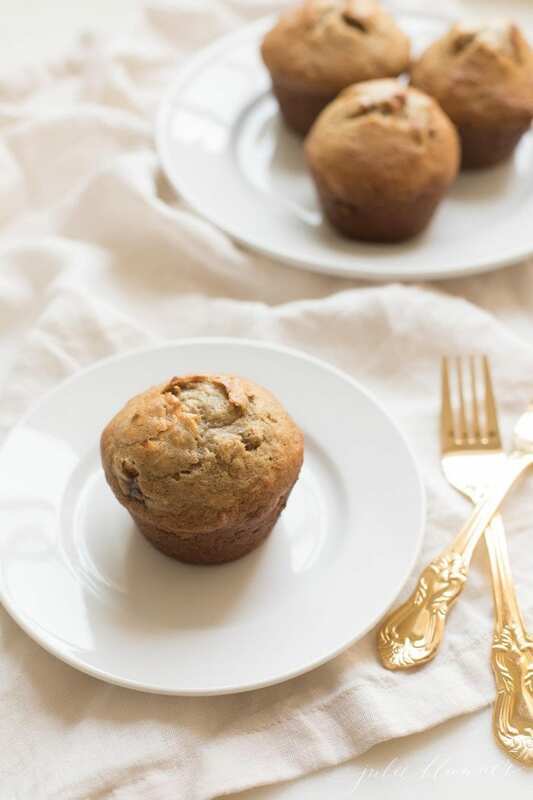 These Moist Banana Muffins are bakery level delicious. 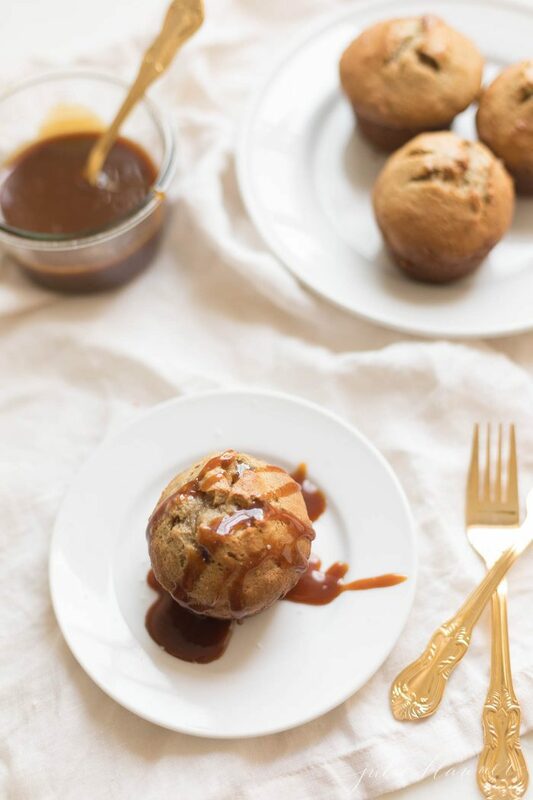 This Banana Muffin Recipe combines the sweet flavor of banana with a gooey caramel center to create a Banana and Caramel Muffin hybrid. There are thousands of versions of banana muffins floating around. 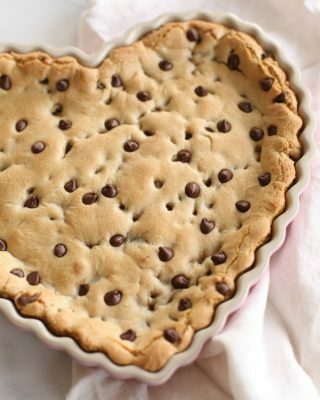 We all have our favorite variations on this classic baked treat. But what if I told you this recipe has gooey melted caramel in the center? 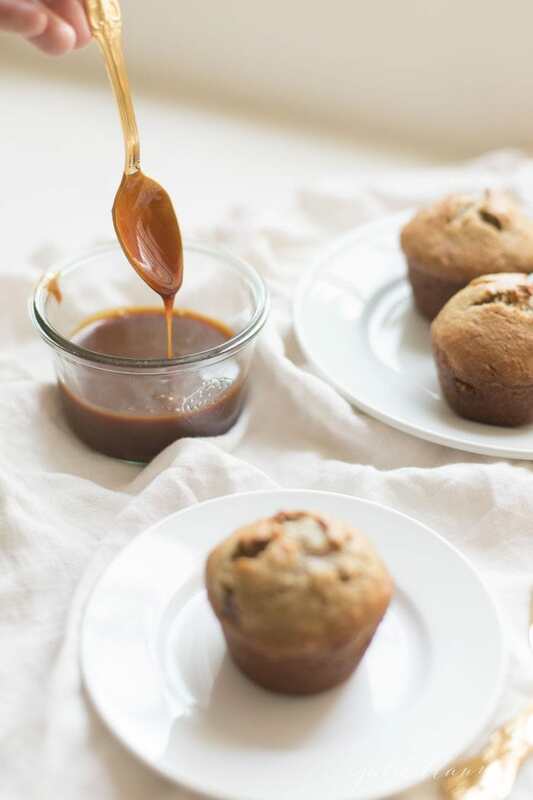 What if I told you that the combination of nutty browned butter, melted caramel and sweet ripe bananas will create a flavor explosion you won’t soon forget? 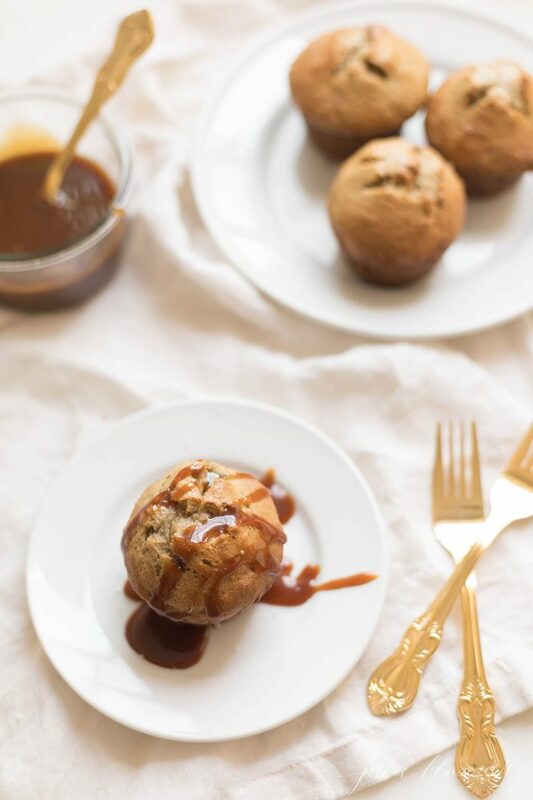 I got the idea for these banana and caramel muffins when I was recently faced with ripe bananas and leftover salted caramel sauce. What’s a girl to do? 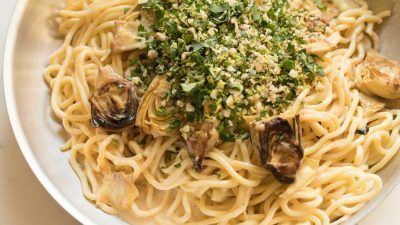 Of course, I decided I should combine these delicious ingredients and wow… I think you’ll be glad I did! 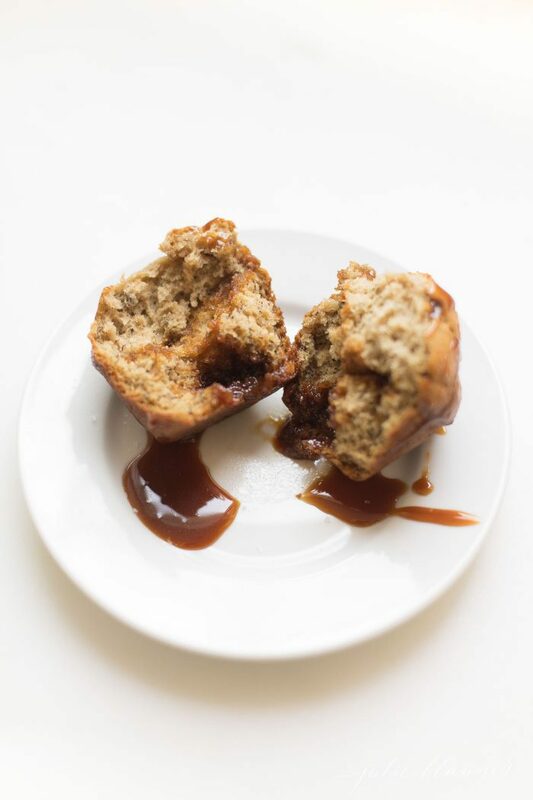 The combination created a hybrid of moist banana muffin and caramel muffin that is truly memorable. 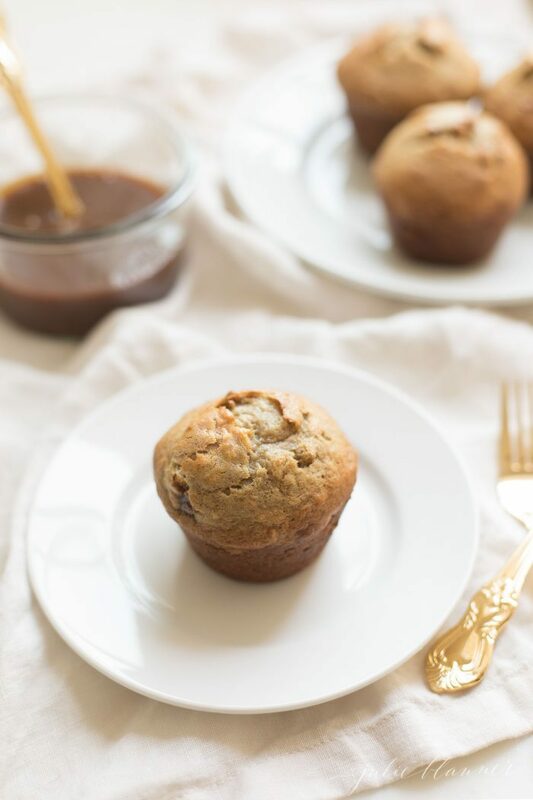 These muffins are the ultimate combination of nutty browned butter, creamy caramel and sweet, ripened bananas. I can’t get enough! 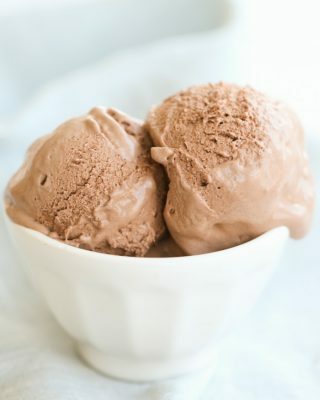 In fact, my mouth is watering as I type this. You know my love for carbs, and I am happy to share this love with the world! 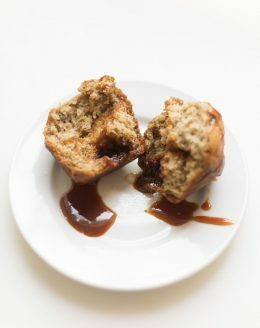 As it turns out, the easiest trick for moist banana muffins is infusing them with caramel sauce. Preheat oven to 375 degrees. Line or grease muffin tin. In a mixing bowl/mixer, combine mashed bananas, vanilla, sugar, egg and cooled butter. Gradually incorporate dry mixture into wet until just moist. 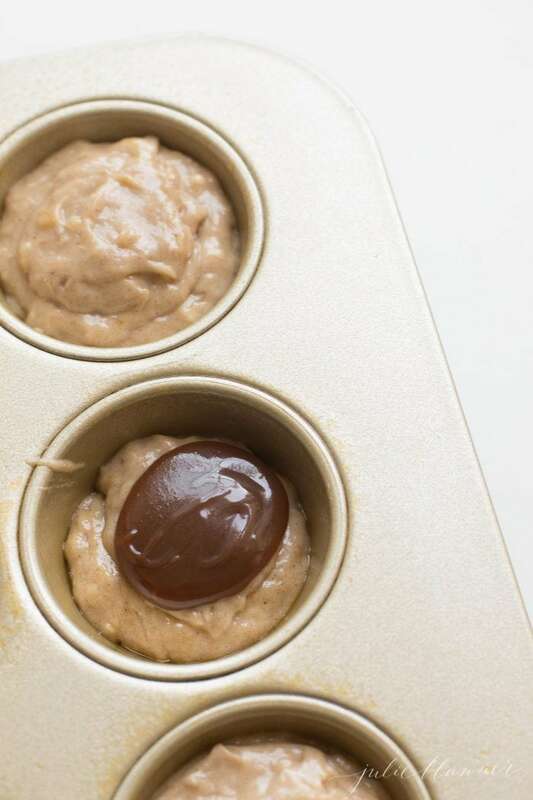 Spoon mixture into muffin tin- fill it to just 1/4 full. Add a spoonful of caramel. Top with more muffin mixture- filling to 1/2 of the way to the top in total (no more than 2/3 full is ideal). 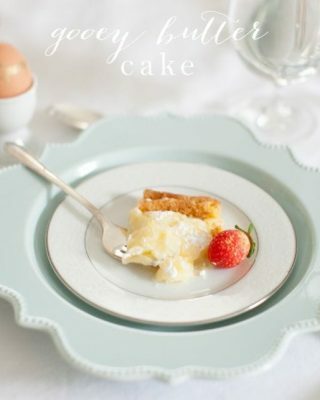 Sprinkle with a pinch of sugar on the top for a little added crunch and sparkle. 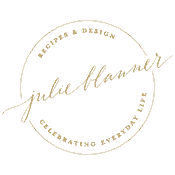 Quick Tip: Use foil muffin liners or spray liberally! The paper liners won’t work well with the sticky caramel. Oil Vs Butter, Which Is Better For Muffins? My preference will always lean towards butter, although I frequently use both. I love the flavor it adds to my baking, even though the butter has slightly less oil overall. Using oil instead of butter might create more moisture, but these muffins are incredibly moist and flavorful with butter! Here’s an authoritative voice with more detail to answer the question of oil vs. butter in your muffins! What’s your preference? Are you a fan of butter or oil in your baking? I’d love to hear! The caramel center in these muffins creates an extremely moist muffin. Gooey caramel= good, right? However, if your bananas aren’t ripe, these won’t be nearly as yummy! You need that higher sugar content to create a sweet muffin. Instead of panicking about the state of your too-green bananas, I have a few ways to speed up the process of browning. Place them in a brown paper bag and wait 12 hours. Microwave for 1 minute, check every 15 seconds after that. Bake at 300 degrees for 15 minutes on a cookie sheet, add more time if needed. If you enjoy these caramel-infused moist banana muffins, please come back and leave me a five-star review! 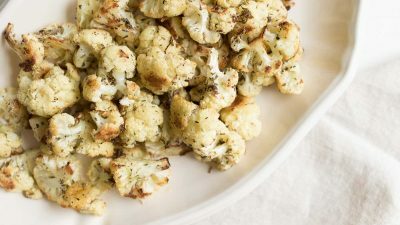 You can also share this recipe on Pinterest. In a mixing bowl/mixer, combine mashed bananas, vanilla, sugar, egg and cooled butter. Gradually incorporate dry mixture into wet until just moist. 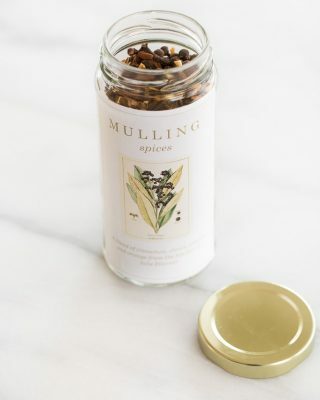 Spoon mixture into muffin tin - fill it to just 1/4 full. Add a spoonful of caramel. Top with more muffin mixture - filling to 1/2 of the way to the top in total (no more than 2/3 full is ideal). Bake 16 minutes or until a toothpick poked into the center comes out clean. Use foil muffin liners or spray the pan well. Gas stations usually carry ripe bananas if you're in a pinch. Drizzle with extra caramel sauce if you have some leftover!